Uzi Ben-Ami, Ph.D., is a highly experienced licensed psychologist. Uzi Ben-Ami, Ph.D., has cultivated and applied his in-depth knowledge in a variety of practice areas, including obsessive-compulsive disorder (OCD). An intrusive mental health condition, OCD leads a person to experience repetitive thoughts and perform compulsive actions on a regular basis. These thoughts and actions significantly interfere with a person’s daily life and can negatively impact relationships, productivity, and overall quality of life. Many people with OCD find relief through medication and Cognitive Behavior Therapy (CBT), but even the combination of medicine and CBT is not effective in every single case. Researchers at the University of California, Los Angeles, are now hoping to reduce the incidence of failed treatment by predicting a person’s likelihood of responding to CBT. The team used a functional MRI (fMRI). Functional magnetic resonance imaging or functional MRI (fMRI) is not intrusive or painful. It measures brain activity by detecting changes associated with blood flow. fMRI scaned the brains of individuals with OCD before and after a four-week intensive CBT program. After evaluating functional connectivity in the brain and symptom severity, researchers entered the data into a machine-learning program. The machine-learning program accurately predicted which individuals would respond to CBT with an accuracy rate of 70 percent. In addition, the program predicted each individual’s symptoms assessment scores with a minimal margin of error. Hopefully, these results suggest that MRI scanning may one day be an effective pre-treatment evaluation tool, which could save patients the cost of ineffective treatment and would allow clinicians to pursue other methods. Based in Rockville, Maryland, Uzi Ben-Ami, PhD, maintains a private psychology practice and serves the needs of patients on issues such as parenting, marriage, and anxiety. A classical music aficionado, Uzi Ben-Ami, PhD, has a particular interest in the works of 19th-century composers such as Ludwig van Beethoven and Modest Mussorgsky. 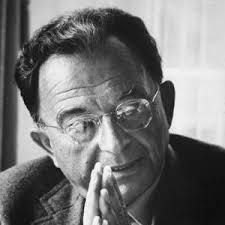 In 2017, the BBC Symphony Orchestra staged one of the latter composer’s most remarkable operatic pieces, Khovanshchina. Focused on the fallout of the modernization program initiated by Peter the Great in the late 17th century, the prescient work represents a meditation on political reform and autocracy and was left unfinished at the time of Mussorgsky’s death. Characterized as bleak and unrelenting, the opera alternates solo pieces with those involving dialogues engaging members of large choruses. This creates a sense of predestined fate similar to that in classical tragedy. At the core of the story is the Khovansky family that formed a faction in Moscow against the tzar and the way in which the clan’s arrogant leader descends into what The Guardian calls “existential defiance” as the world he knows collapses. 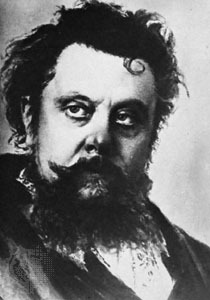 Not performed until five years after Mussorgsky’s death, the opera is described as unique in presaging the rise of totalitarianism in the 20th century. Operating his own private practice for more than 30 years as a licensed psychologist in Rockville, Maryland, Uzi Ben-Ami, Ph.D., is trained in a number of areas, including marriage and family counseling. Outside of work, Uzi Ben-Ami, Ph.D., enjoys taking time to enjoy interests such as movies by the Coen brothers. Brothers Joel and Ethan Coen began making movies in the early 1980s, with their first movie, Blood Simple, released in 1984. Since that time they have produced a number of well-known films such as The Big Lebowski, Fargo, and O Brother, Where Art Thou? 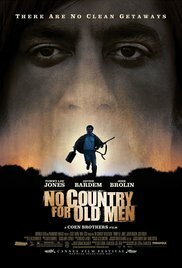 Arguably one of the best movies produced by the Coen brothers is "No Country for Old Men." Based on the novel by Cormac McCarthy, the movie takes place in a bleak southern Texas setting and provides a study in self-imposed purgatory and of the way people can trap themselves in their own surroundings. The film doesn't include a typical music score and its dialogue is sparse, yet still reflects the Coen brothers’ unique style. As a privately practicing psychologist, Uzi Ben-Ami, Ph.D., addresses a variety of cognitive and emotional challenges, including dyscalculia and other learning disabilities. Uzi Ben-Ami, Ph.D., stands out as the co-author of the book Many Ways to Learn: Young People's Guide to Learning Disabilities, an American Psychological Association publication. Just as dyslexia makes it difficult for students to understand and write a composition, dyscalculia challenges one's ability to succeed in math. The specific difficulties that each child experiences may be different, and thus there is no cohesive picture of the disability. Young children with dyscalculia struggle with number sense, which educators define as the understanding that the numeral 7 and the word “seven” represent the same value. They may also struggle with concepts of larger and smaller, which extends to challenges in understanding place value, positives and negatives, and basic math operations. 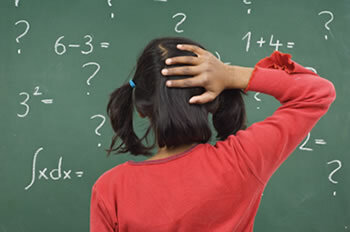 Children with dyscalculia can also have trouble understanding the organization and processes of mathematics. They may understand basic mathematical facts but may not be able to apply that knowledge to analyze and reason an answer to a problem from beginning to the end. For this reason, they often benefit from the use of diagrams, manipulatives, and mnemonic devices to help them conceptualize a mathematical construct and generalize. Some have difficulty remembering the systematic approach to specific math problem resolutions. Following the recipient of a doctorate from the University of Maryland, College Park, Uzi Ben-Ami, Ph.D., has been serving as a psychologist in Maryland for more than three decades. Outside of his professional endeavors, Uzi Ben-Ami, Ph.D., is a fan of classical music and is particularly fond of the Russian composer Igor Stravinsky. Although Stravinsky has died in the early 1970s, fans were recently treated to a new piece from the prolific composer after his long-lost work “Pogrebal’naya Pesnya” (“Funeral Song”) was rediscovered after more than 100 years. The 12-minute composition was thought to have been destroyed during Russia’s revolution and civil war in the early 20th century. However, it was recently found among old manuscripts in Russia’s St. Petersburg Conservatoire. 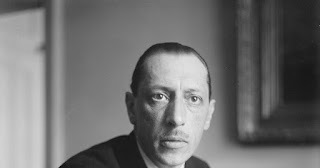 Stravinsky’s “Funeral Song” was written fairly early in the Russian composer’s career, when he was 26. Created as a tribute to Stravinsky’s teacher, Nikolai Rimsky-Korsakov, the orchestral piece was performed just once before being lost to history. The piece is currently making the rounds worldwide, with performances in Russia, the US, New Zealand, and South Korea, to name a few. The performance has been streamed live over the Internet, allowing Stravinsky fans worldwide to hear this lost piece for the first time.